-- Select a Size/Color -- Size 12 - Out of Stock! Size 14 Size 16 Size 18 Size 20 - Out of Stock! 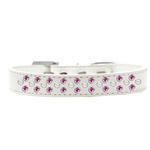 Bring on the bling with the Sprinkles Pearl and Bright Pink Crystals Dog Collar on White from Mirage Pet Products! We love the alternating layers of pearls and bright pink crystals on this collar! 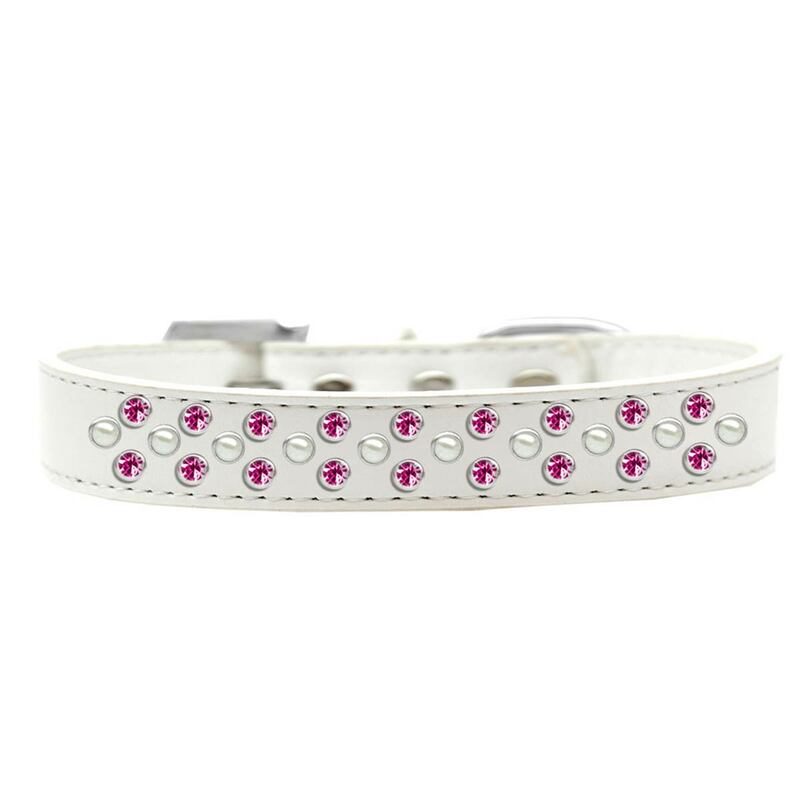 The Sprinkles Dog Collar has a crystal buckle and beautiful Czech crystal and pearl accents! The metal hardware is durable and the collar is adjustable for convenience. Great for daily wear or special occasions. Size 12: Neck 8.5-10.5" Width 3/4"
Size 14: Neck 9.5-12.5" Width 3/4"
Size 16: Neck 11.5-14.5" Width 3/4"
Best collar ,for a SWEET GAL! Posted On 05/03/16 by Zima G from Brooksville, FL Yes, Zima G recommends this product! Sweet "looks" for my girl ! Has a great shine! I love your site! Posted On 02/22/16 by Zima G from Brooksville, FL Yes, Zima G recommends this product! Love this collar! Its very nice and looks awesome on my girl! We are ready for for SPRING FUN! Fast ship and on time! I found your website while searching for a harness for my 5 month old female Chihuahua. The website is very appealing, prices are great and you have a wonderful inventory of pet supplies.